Msnbc.com, the No. 1 online news site, is looking for an experienced Producer to help refine and grow our online video programming. We seek an individual who can collaborate with internal teams and our parent companies to increase the quantity and improve the quality of our daily video content and presentation and implement strategies within msnbc.com pages and video player to grow audience and engagement. 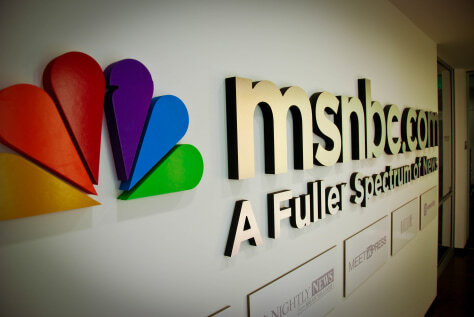 This team member will support the news, msnbc.com, TODAY.com and/or breakingnews.com Web sites to provide compelling video content and collaborate with broadcast and cable news staffs to help their best content flow onto our sites. Proven news judgment, high ethical standards and good interpersonal skills are required. The ideal candidate will have a broad knowledge of and curiosity about national, international and cultural events of all kinds and show a superior eye for spotting interesting video. Writing and verbal communication, team-work, organization and work-ethic are essential qualities for a successful candidate. An entrepreneurial, innovative spirit and passion for digital media are highly desirable. We are looking for someone with a BA degree, particularly in Journalism, Communications or other discipline emphasizing storytelling and multimedia creation, is required. Strong candidates with equivalent experience and education may be considered. Minimum three years experience producing/editing/promoting video on the Web, including daily collaboration with established broadcast or cable entities is essential. A further background in broadcast production is preferred.